Moon Guitars, producing fine custom acoustic instruments, was established by Jimmy Moon in 1979 in a small workshop on the Island of Arran, off the west coast of Scotland. Today they produce a range of acoustic guitars from their Standard Series through to Master Grade instruments built with exotic timbers. By 1985 Moon Guitars had outgrown the small workshop on Arran and was moved to the present workshops in Glasgow. During the following years Moon Guitars established themselves as a producer of custom built instruments of a very high quality, combined with a comprehensive repair service for both visiting and local musicians. 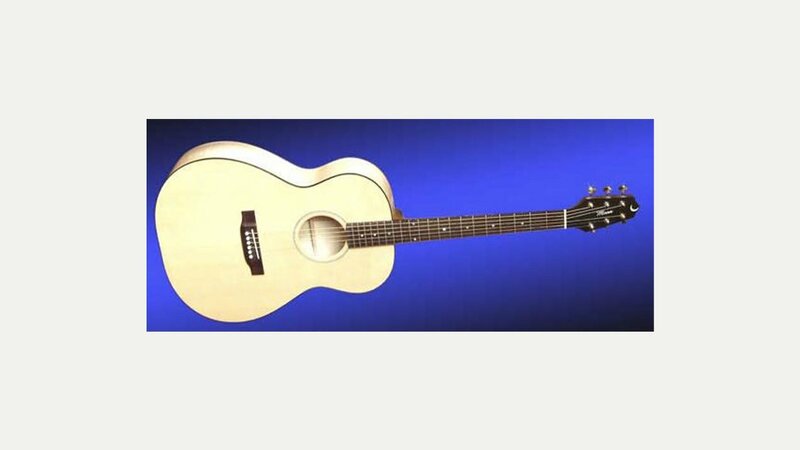 During this period, the company produced mostly custom electric instruments, varying from a 12 string jazz style semi acoustic (Charlie Burchill – Simple Minds) to a ‘tartan’(!) solid electric (Iain Harvie – Del Amitri). By 1995 Jimmy returned to his roots and began producing more acoustic instruments whilst always continuing with the custom electrics and repair service. In the last few years Moon Guitars have extended their production to include the entire mandolin family and a range of quality acoustic guitars.